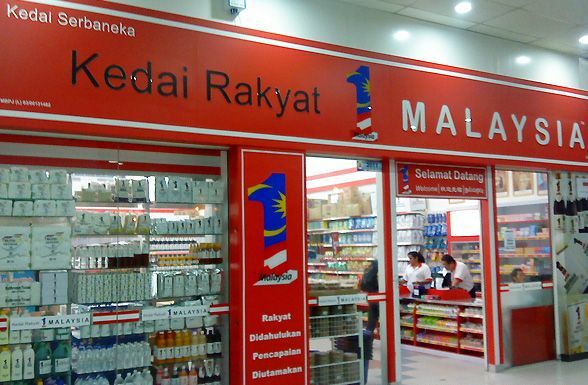 The Sarawak government has ordered all Kedai Rakyat 1Malaysia (KR1M) outlets in the state to stop the sale of its KR1M-brand salty soy sauce (kicap masin) over food safety concerns. The Borneo Post quoted state assistant minister of Public Health Datuk Dr Jerip Susil as saying that the action follows the state health department’s notice to all KR1M outlets a few days ago. “Health officers in all divisions state-wide have gone to the ground to identify and monitor this product since we issued the notice on Thursday. We will move to seize the product if it is found to have violated the Food Act 1983 and Food Regulations 1985 as a measure to protect consumers,” he told the daily yesterday. Dr Jerip said health officers and enforcement personnel were immediately sent to the outlets to check on the product after the notice was circulated. The product has since been removed from KR1M shelves across the state, the Borneo Post reported. The notice was issued by state health deputy director (Food Quality and Safety) David Lau Chien Loung with reference to the subject “Food Alert: Salty Soya Sauce Kedai Rakyat 1Malaysia brand which violates the Food Act 1983 and Food Regulations 1985”. The daily also quoted Dr Jerip as saying that the order to remove the product in question and seize it for checks was done according to the standard operating procedure (SOP). The notice was also sent to health officers in Kuching, Samarahan, Sri Aman, Betong, Sarikei, Sibu, Mukah, Bintulu, Miri, Limbang and Kapit. – May 24, 2015.